It is important to keep spark plugs fresh and replace them from time to time as outlined in your BRP/Sea-Doo owner’s manual and we are going to share a few tips on how to do this with the proper technique. First, be sure to conduct your maintenance work in a well-lit and ventilated area and always wear safety glasses. After removing the spark plug cap or coil “stick”, use a controlled amount of compressed air to blow any and all moisture or debris away from the spark plug tube and area. 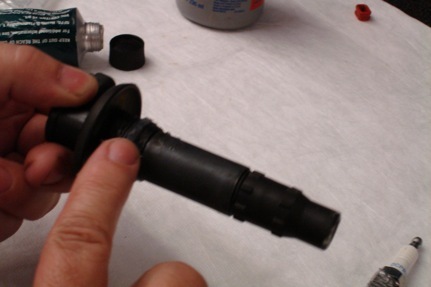 Follow this with the actual spark plug removal using the proper fitting spark plug socket. If any resistance is found when backing out the spark plug, be as gentle as possible as the threaded spark plug hole in the cylinder head is made of aluminum. The spark plug’s threads are made of a much harder steel, so the relatively low priced spark plug isn’t nearly as important to protect as the threads of the precious cylinder head. If you do indeed face a difficult removal, do not force the spark plug and consult a certified BRP/Sea-Doo technician. Sometimes it’s too late at this point as damage may have occurred a the last spark plug install, not at the removal. Let’s get on to proper installation. Using a quality spark plug, BRP specified gap and correct heat range, apply a small amount of quality anti-seize lubricant on the threads of the spark plug. 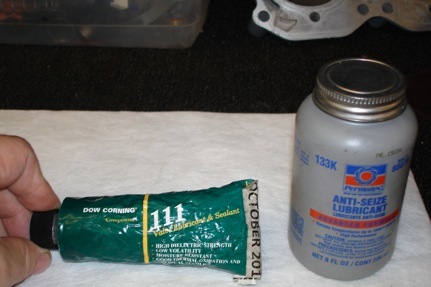 PPG uses “Loctite”brand anti-seize compound (BRP part number 293 800 070) it’s really good stuff and available at most BRP/Sea-Doo/Ski-Doo/Can-Am dealers. This product can be used in many places on all of your mechanical devices to make living with them much easier thanks to it’s anti-corrosive properties. Apply a small amount of the anti-seize, evenly spread over the spark plugs’ threads prior to installation. Using one of the cap/coil ‘sticks’ or similar device, thread the plug into the spark plug hole in the cylinder head making sure the plug bottoms into the plug base surface easily. Then tighten by applying the proper BRP suggested torque (17 foot pounds will do nicely) to seat the spark plug completely. If it looks worn, replace it! Now onto the spark plug cap/coil “stick” install. The rubber grommet at the upper section of the coil is a major protector of not only the coil itself but the deep recess that the spark plug resides in. 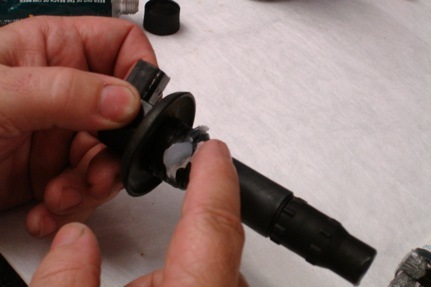 If the grommet isn’t fitting very tight around the coil, replace it! If the multi-rib sealing, outer rings are flattened, broken, or disfigured, replace it! Apply a liberal amount of dielectric grease/compound to the fitment as shown in the images and it will not only protect the coil, it will keep out debris and water. PPG uses Dow Corning 111 compound and this too can be purchased at most BRP dealerships (part number 413 707 000). One tube can last a very long time is stored properly. 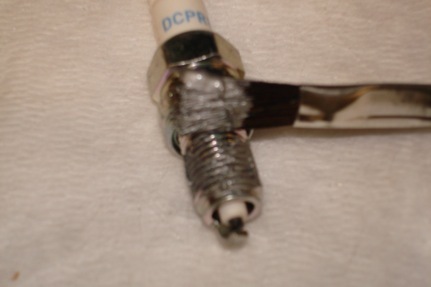 Protect all electrical connections with dielectric grease. PPG also applies dielectric grease to all wiring termination points and its anti corrosion qualities are worth every cent! 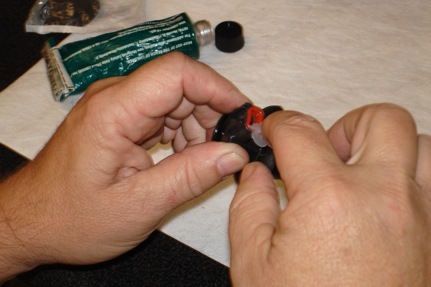 The images show that our technicians use it on the harness connection and the spark plug cap/plug fitment. Simple preventive maintenance efforts can go a long way in ensuring your time on the water with your Sea-Doo boat or watercraft are trouble free and can also save you money in addition to headaches in the long run. Sea-Doo product are engineered to last over a decade but you have to do your part in maintaining proper operations. would you know why my sea doo is losing it coolant after 20 to 30 minutes of use water pump has just been changed and that did not solve the problem.the coolant is ending up in the bilge or bottom of the machine.would appreciate any info. on this problem. Hello Rex: We recommend you check with your local dealer, they would be the best ones to help you diagnose this problem. just changed my oil and plugs just as described, also replaced one of the coils that looked cracked the foo was running great beforehand, this was maintenance. Now the doo revs up and will only rev higher won’t return to idle. I have a 2006 GTI se, this is a 4-tec fuel injection model. Ive rechecked my plugs could this be a sensor? I have the same problem!! Did you find a fix? ?